United States Transportation Secretary Elaine Chao has asked her department to conduct an audit of the Boeing 737 MAX certification process with the Federal Aviation Administration (FAA). Chao requested the audit in a memo to US Department of Transportation (DOT) inspector general Calvin Scovel on March 19 (US time). “To help inform the department’s decision making and the public’s understanding, and to assist the FAA in ensuring that its safety procedures are implemented effectively, this is to confirm my request that the Office of Inspector General proceed with an audit to compile an objective and detailed factual history of the activities that resulted in the certification of the Boeing 737 MAX 8 aircraft,” the memo said. Boeing said in a statement on its Twitter page the company would fully cooperate in the audit. The Boeing 737 MAX has been in the spotlight since the accident involving Ethiopian Airlines flight ET302 on Sunday where all 157 people on board were killed when the aircraft crashed into the ground shortly after takeoff. A preliminary analysis of the flight data recorder (FDR), as well as satellite tracking data, suggested there were similarities with an accident involving a Lion Air 737 MAX 8 that plunged into the Java Sea minutes after it took off in October 2018. There were no survivors among the 189 people on board. Aviation regulators around the world, including the US FAA, have grounded the 737 MAX. There has also been scrutiny on what role the 737 MAX’s Maneuvering Characteristics Augmentation System (MCAS) may have played in both incidents. The MCAS, which was added to the 737 MAX as part of design changes where the engines were a little further forward on the wing, helped push the nose down to reduce the risk of at the aircraft stalling in response to a high angle of attack (AOA) by tilting the horizontal stabiliser. Pilots can override the system by manually adjusting the trim. A Seattle Times report raised concerns that the US FAA may have gone too far in its delegation of responsilibty to Boeing for certifying the safety of the 737 MAX, citing interviews with Boeing and FAA engineers. Further, the report also noted the original safety analysis that Boeing delivered to the FAA on the MCAS contained several crucial flaws. Boeing told the newspaper there were some significant mischaracterisations in the description of the flaws in MCAS certification. Boeing has said previously it would release a software update and related pilot training for the 737 MAX that would address concerns discovered in the aftermath of the Lion Air flight JT610 accident. The US FAA said recently it would issue an Airworthiness Directive to mandate this software enhancement by April. Boeing launched the 737 MAX program in January 2011. It was the fourth generation of an aircraft that celebrated its 50th year in 2018. The US FAA certified the aircraft in March 2017 after what Boeing executives had previously described as a smooth development program. “When I came to join the program as the chief project engineer we had a separate team put together that was defined to only work on the MAX, in terms of working through the requirements of the airplane, agreeing to the schedule, working with the production system and really working with the engine supplier as well – they follow that same process – and then following a whole series of gated process of milestones to ensure that throughout that development phase we were sticking to our schedule and making the decisions when we needed to make them,” Boeing 737 MAX chief project engineer and deputy program manager Michael Teal told reporters in April 2017. The design changes from the 737NG (the -600, -700, -800 and -900ER series) included larger engines, an updated flightdeck and a host of aerodynamic improvements to cut fuel burn. On March 18, Boeing chief executive Dennis Muilenburg said safety was “at the core of who we are at Boeing”, adding that the company was in “full corporation with the US FAA, DOT and US National Transportation Safety Board on “all issues relating to both the Lion Air and the Ethiopian Airlines accidents since the Lion Air accident occurred in October last year”. “We’re united with our airline customers, international regulators and government authorities in our efforts to support the most recent investigation, understand the facts of what happened and help prevent future tragedies,” Muilenburg said in a statement. VIDEO: Boeing chief executive Dennis Muilenburg outlines the company’s commitment to safety in a video on the company’s website. WOW everyone is looking for a scapegoat. Maybe airlines should train their pilots on new aircraft ? @ Mark. Did you read the articles? 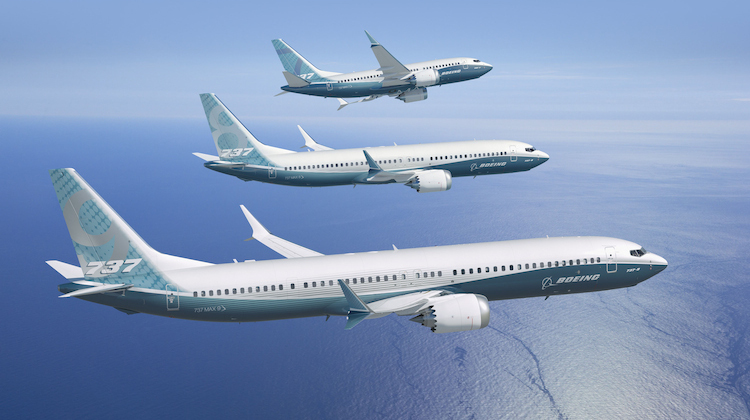 * It is alleged that the FAA allowed Boeing to self-certify parts of the 737 MAX development, seemingly because budget cuts has left the FAA stretched and unable to do the full certification themselves. 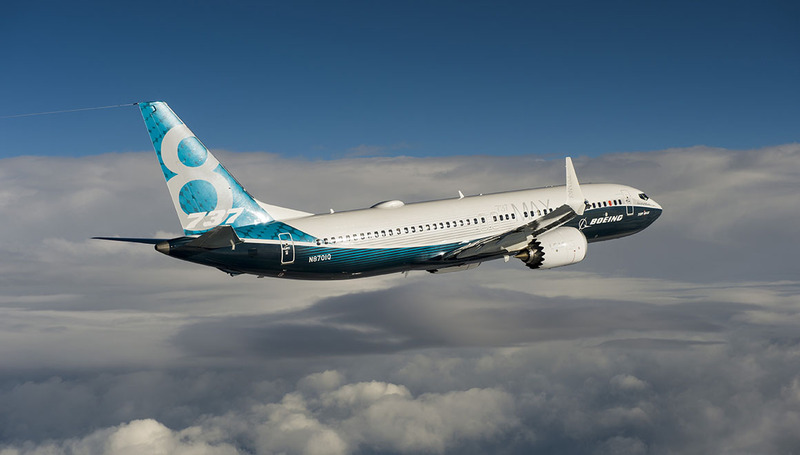 It is also alleged that the FAA managers may have conspired with Boeing to minimise the certification process for the 737 MAX because Boeing was behind Airbus in their new generation aircraft development, thus helping Boeing to catch up to the A320 Neo quickly. * The horizontal tail was described behaving one way in the initial safety analysis provided to the FAA (limited to 0.6deg of movement), but behaving completely different in reality (2.5deg movement) and without Boeing updating the safety analysis or telling anyone of the changes. None of the FAA engineers were aware of this safety issue. * The new MCAS system only uses one sensor input, and thus providing a single point of failure in the event of any sensor fault. Even though the aircraft has another sensor that it could use to compare data inputs. A single point of failure that could end in aircraft losss – that’s not good for a commercial aircraft. * The 737 MAX was certified and advertised by Boeing as NOT requiring any pilot training. It has the same type rating as the 737 NG models, and the only training given is a 1 hour iPad session. No simulator time, no class time required. That is how similar Boeing was selling the 737 MAX. * The new MCAS system behaviour was not mentioned in this 1hr course, or even in the aircraft manuals. There was literally no way for a pilot to find out about this new system even if they knew to look. There was no instruction from Boeing either to the airlines or to pilots on what to do if the MCAS behaved erratically. * In the Lion Air crash, MCAS kept pushing the nose down, the crew kept correcting it, and then MCAS would push the nose down again. It turns out all they had to do was switch the system off, as a pilot of another Lion Air flight the previous day found out when they too almost crashed, but with no instruction on what was happening or how to overcome it, the crew kept fighting for control with MCAS until they hit the ground. * Clearly it is all the crew’s fault. Wow. Wish the Australian cricket team had spinners like Boeing. That’s a pretty simplistic response Mark. There’s enough information out there to suggest Boeing did not tell the airline customers enough about changes to the new 737 MAX aircraft. And they admit they were working on a software update. The fact that both aircraft Captains were very experienced pilots with thousands of flying hours flying this type of aircraft suggests the issues are not just about training pilots.